Hi friends! Sorry, no update last week but it was a rough week, and I couldn’t bring myself to publish what I had written. It felt like all I was doing was complaining, which is not how I want to project my experience of motherhood. The truth is, I was in a very vulnerable place last week, barely hanging on to reality and sanity. Then, all of a sudden things changed, KJ started sleeping better, and I was able to practice a bit more self-care. I think that is what has surprised me the most about motherhood, how quickly things change. How unexpected your child will behave despite what your friends told you happened or what the internet tells you should happen. For instance, KJ rolled over at exactly 12 weeks, but hasn’t done it since. My linea negra is just now finally not very visible. I still have some very visible stretch marks on my sides, but I, haven’t done much to help that. I also have one pregnancy spot on my face that my dermatologist used a nitrogen freeze to help disappear. He said multiple treatments might be required. As far as weight goes, my goal has always been to get back down to my happy weight by the time the baby was nine months old, or my birthday. As of now, I’m about 30lbs down from my highest pregnancy weight. So at this point, I have 15-20lbs to get where I want to be (as I’ve mentioned a bajillion times I was up ten ish lbs when I got pregnant). So that’s plenty of time to reach the goal of my birthday by losing a little less than 5lbs a month. Using the meal plans, I create for What To Eat? Meal Plans has helped us with meals outside of what I’m cooking for the blog. 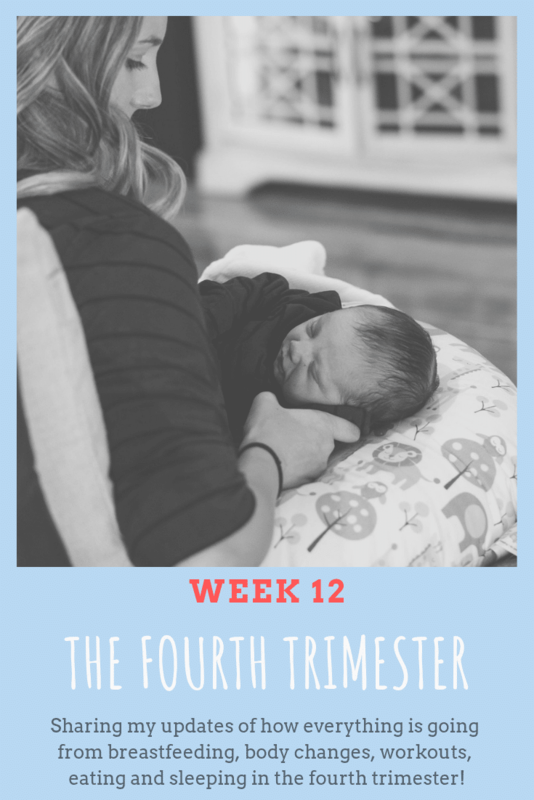 Last week I felt how I expected to feel in the first couple of weeks after birth, extremely tired and very emotional. In those first couple weeks I cried a couple of times out of confusion, but last week I sometimes cried all day long. Like I said it was a ROUGH week, but then, just like that, things got better. It’s like just when you think that things are never gonna get better, all of a sudden they do. I think that is what has surprised me so much about motherhood, how quickly things change. The word routine doesn’t hold that much meaning, what works one day may not work the next. For this type A mama who loves to plan and be orderly, that’s been a HUGE adjustment. Slowly but surely I’m learning to go with the flow, although it’s still a work in progress. Speaking of work, the balance is in some ways easier than I expected and some ways harder than I expected. I’ve had to give away many many non-essential tasks to my VA. So the weird thing is, although I’m working less it doesn’t feel like it because I’m working on the things that matter the most. In other words, I’ve been forced to delegate stuff I probably should have delegated a long time ago. 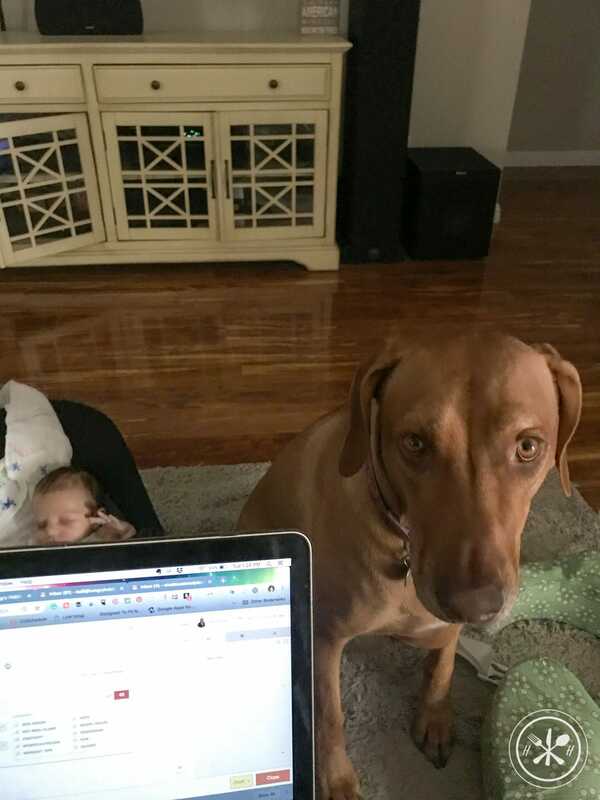 Overall I feel incredibly blessed that I can work from home which creates flexibility, I have fantastic support from friends and family, and the most important thing is I have a healthy happy child. As KJ gets older and more interactive I find myself slowing down and really soaking up the moments with him. I love his smiles and stretches when he wakes up in the morning, the way he coos, and his spastic movements on the playmat. The fun moments increase more and more every day as my sleepy little newborn transitions into a squirmy baby! I did a consult with Cara from Taking Cara Babies because I was so confused about KJ’s sleep. 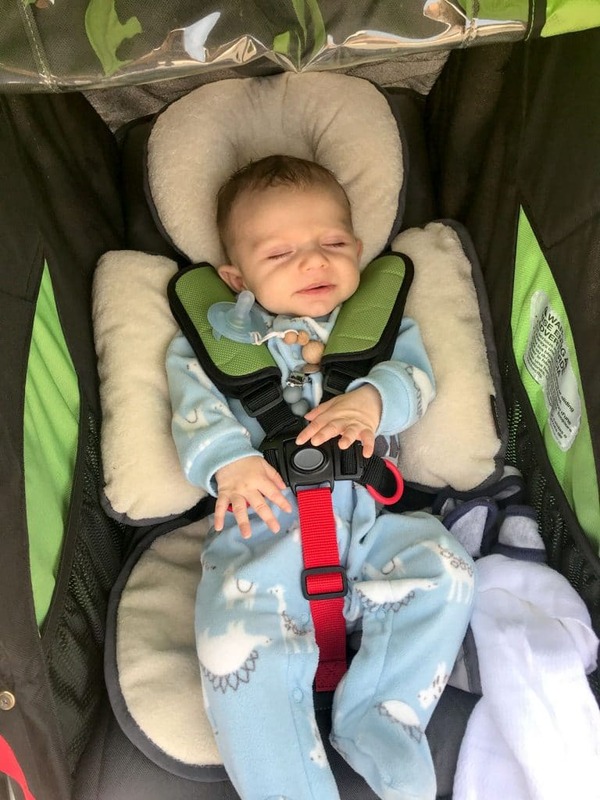 He went from sleeping 6-7 hours of sleep at a time to 2-3 hours at a time at around 9 weeks. The reason I wanted to talk to her was to get her take on his sleep with the added complication of him being a smaller baby. I very much appreciated her coaching style. 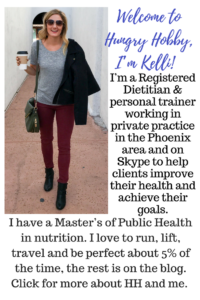 She coaches her clients like I coach mine, focusing on the positives/successes/wins. The gist of the conversation was that when he started not sleeping well, I started changing a lot of things quickly which might have contributed to the prolonged regression. She encouraged me to make changes slowly. I’m not going to share our notes from the call because A) it was tailored to our situation and each baby is individual B) I believe in what she is doing and know that she makes a living off her programs and advice. So, instead, I’ll say even though the baby isn’t sleeping through the night I highly recommend her programs and coaching. I will say, however, that she said that the next eight weeks are the most challenging when it comes to sleep. She encouraged me to continue to lay a good foundation for sleep so that if we have to sleep train at 5 months, it will go smoothly and quickly. We are monitoring KJ’s weight at home weekly. Right now he gets an extra bottle after breastfeeding before bed which has helped with his sleep. He also gets 4-6 ounces of pumped milk when he takes a bottle from Mr. Hungry or others visiting at the house. I’m not sure how long my supply in the freezer will last this way. Overall, I’m so proud of our breastfeeding journey and so blessed to have been able to exclusively breastfed this long. We struggled with tongue tie, thrush, exhaustion causing him not to want to feed, and low supply issues/low weight gain. We worked hard to overcome these issues and establish a good breastfeeding relationship. He latches great now, and I love how his sweet little hands rest on my chest or grab my clothes while he nurses. I’m happy that we were able to establish breastfeeding so that now if we have to supplement, it’s unlikely to be the end of breastfeeding. Like I said, I feel truly blessed to have been able to nurse him this far. I thought I would throw this in there because I think it’s worth mentioning. I knew that our communication skills and patience would be tested to the max by bringing a child into our 10-year relationship. And yes, it has been tested, but it has also made me so appreciative of Mr. Hungry. 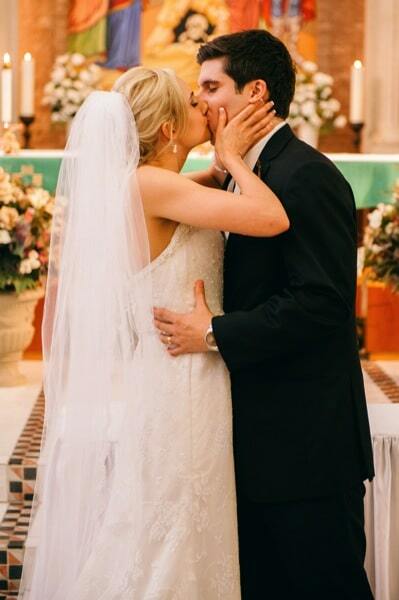 I know that I’m lucky to not only have a husband but to have one who is as involved as mine. A single mother raised me, so I already feel for you Mama’s (or Dads!) out there doing it alone, but even more so now that I’m a mother. I also feel for you Mamas out there whose husbands work long hours and you are also doing it alone, you deserve medals, wine, and anything else you want because you earn it day in and day out. I appreciate Mr. Hungry’s investment in health, while it’s been a juggle for us both trying to get our workouts in and eat healthily it’s also so much easier because we both value those things. It’s not easy to carve out the time for each one of us to focus on our health so I’m thankful we both make it a priority. Now 3 months later how is Nala doing? I’ll tell you what, that dog is no dummy. She gets that KJ is the center of the attention so she positions herself right next to him all the time. She is sweet with him, she sniffs him or tries to lick him while she lays next to him. She was smelling him the other day while he was in the bouncer and he bopped her on the head with his jerky hand movements, she didn’t even move or care, just tried to lick him. My guess is because she regularly takes a beating from Missy all the time it didn’t phase her. She is truly a gentle giant. 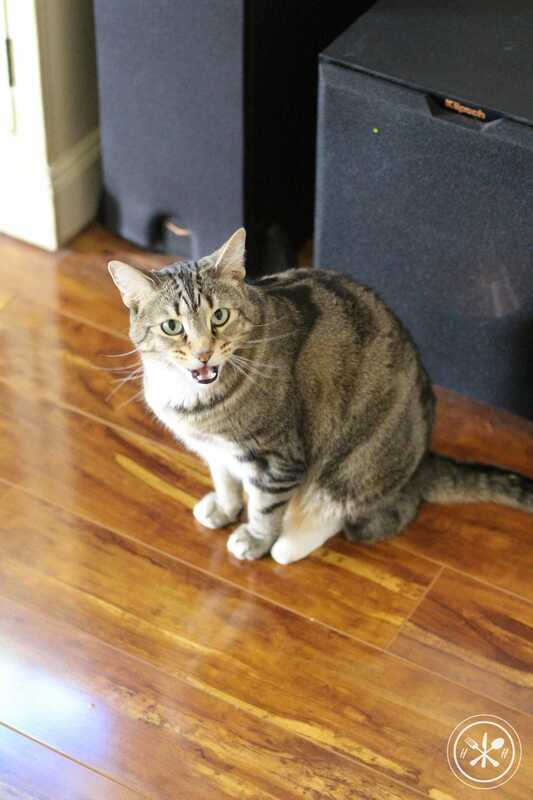 As far as Missy goes, she is a cat, let’s be honest she doesn’t care AT ALL. When the tiny human starts screaming she retreats to some other area of the house for the rest of the day until Mr. Hungry gets home. I will say I’ve noticed that she is much more friendly to visitors now though. Before she didn’t care about visitors but I think now she will take the attention wherever she can get it. She even rubs up on the dog sometimes! I’ve shared my workouts but I wanted to add that not every workout feels amazing. I’m thinking about going to get evaluated because my pelvic muscles get SUPER sore after runs or working out. Not sure if that will disappear in time or not. Overall I’m taking this opportunity to take it slow and listen to my body. It’s hard when I see someone else doing more than me (just like in pregnancy) but overall I’m trying to let comparison be the thief of my joy. Big news! 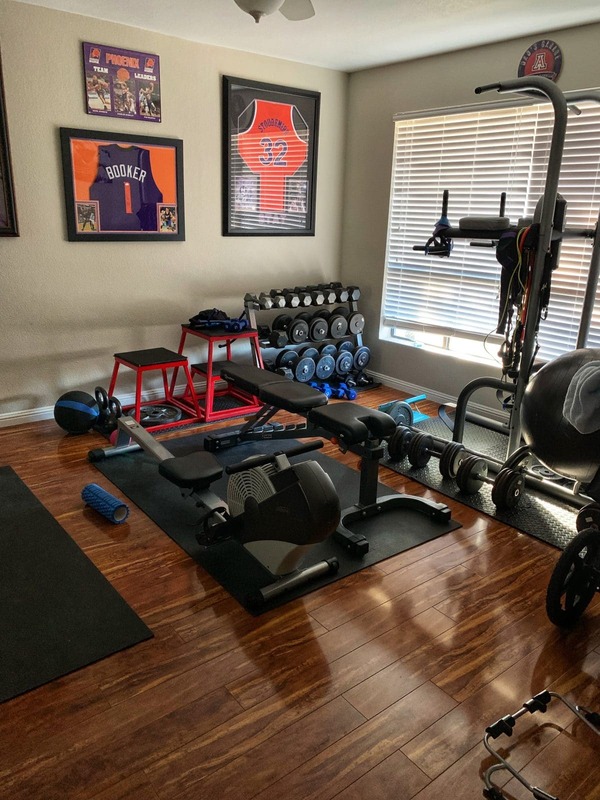 We added TWO pieces of cardio equipment to our home gym. Mr. Hungry bought a rower off of offer up and got a great deal on it (shown above)! We also finally caved in a bought a treadmill which will be here next week. We hesitated on this for a long time because we weren’t sure if we wanted to buy used or new and how to much to spend. We had heard so many stories about used treadmills and cheap treadmills crapping out. Ultimately we decided to buy a new one, not top of the line but not cheap either. It was a HARD decision because in choosing to buy the treadmill I had to let go of a gym membership for the next couple of years. It was a hard call but I think the sacrifice will be worth it. On the plus side, that means I’ll be creating more workouts to share with you guys, maybe even some videos! Thank you for taking this ride with me through pregnancy and the first trimester. It has been such a joy to be able to record this monumental period of my life on Hungry Hobby. Thank you guys so much for all the advice and words of encouragement over the last few months. So many of you messaged me with your own stories of breastfeeding, low weight gain, and sleep struggles. You reminded me I wasn’t alone and that we would make it through the tough times. I can’t tell you how much those comments, emails, and messages meant to me. Your words were truly my strength in the tough moments, so thank you. I look forward to sharing more as KJ gets older, eats solid, and tells me what food he hates. 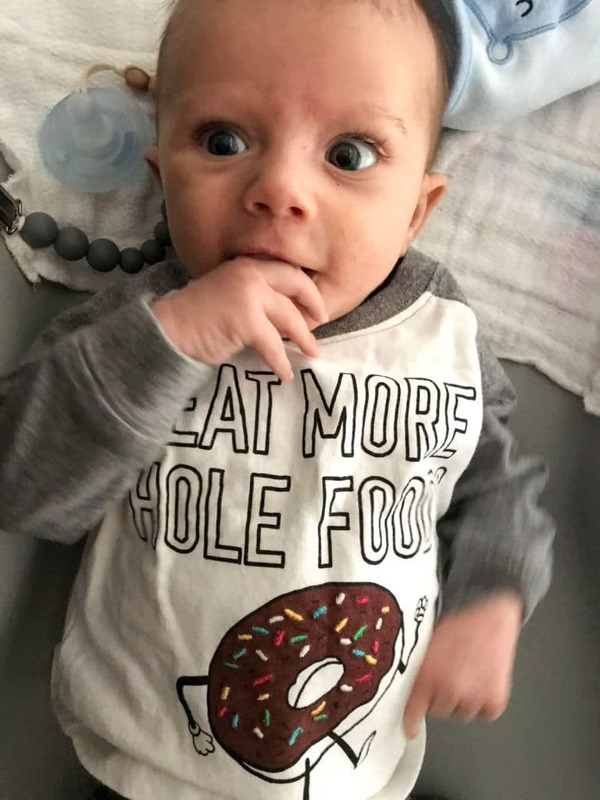 This isn’t a parenting blog so my updates of his life will probably focus on our attempts at healthy living including food, fitness, and life. If there is anything else you are interested in hearing about just let me know! Thanks friends! I was in one of your nutrition classes at MCC, and I have three minions of my own, number 4 on the way. All you read in school and hear from friends and research on the internet is nothing compared to the actual act. My daughter Nala is 6 now but as a baby she was very difficult. She cried and cried for hours upon hours. No colic, no tummy issues, I played with her, fed her, changed her, everything I could do or read or be taught, and nothing seemed to be the magic trick. I cried many times. Then one day, it got easier. I don’t know how I got through it, and I’m about to have baby number 4 in April and I’m scared how am I going to do it again? I forgot how hard being pregnant was!! But we moms do it. We really are superheros. I’m very proud of you and I’m glad you shared the absolute truth, that being a mom is hard work. Rewarding, but hard work. Congrats on your beautiful baby boy and I look forward to the stories from the toddler years! You got this mom! Thanks, Vanessa! I always love hearing from students! Congrats on baby number 4, you are a seasoned pro at this point! 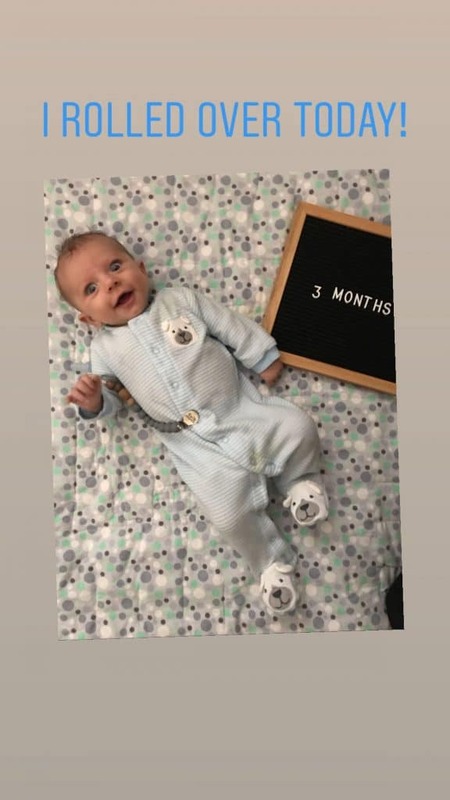 Happy 3 months to KJ! He is so sweet. I have so much catching up to do on blog post. I didn’t get to do much reading while I was on maternity leave. I stuck with IG stories lol. All I can say is that I can relate so much with the sleep & breastfeeding struggles. Even though every baby is different its also so normal. I cried many night not knowing why my LO would only keep 1-2 maybe 3 hours if I was lucky. Thank god we are 10 weeks in now and finally seeing some positive changes.